Luxembourg’s Moselle Valley is known especially for its white wines – both still and sparkling. They include certain specialities typical of the region such as Vendange tardive ( late vintage ), Vin de paille ( straw wine ) and Vin de glace ( ice wine ). 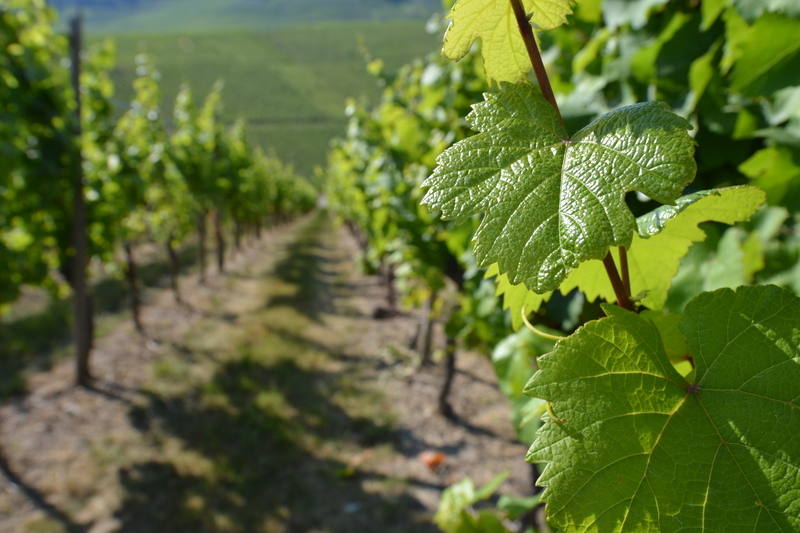 Luxembourg boasts a broad spectrum of grape varieties which produce a wide range of different wines. Consumers are delighted with a wine offer with expressive force and versatile enjoyment. 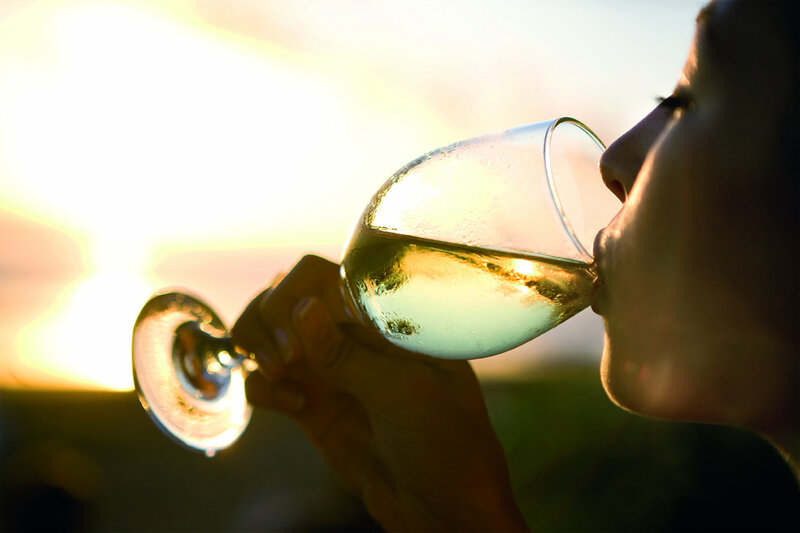 Fresh, vivacious and mineral wines are produced from the Elbling, Pinot blanc and Riesling varieties. 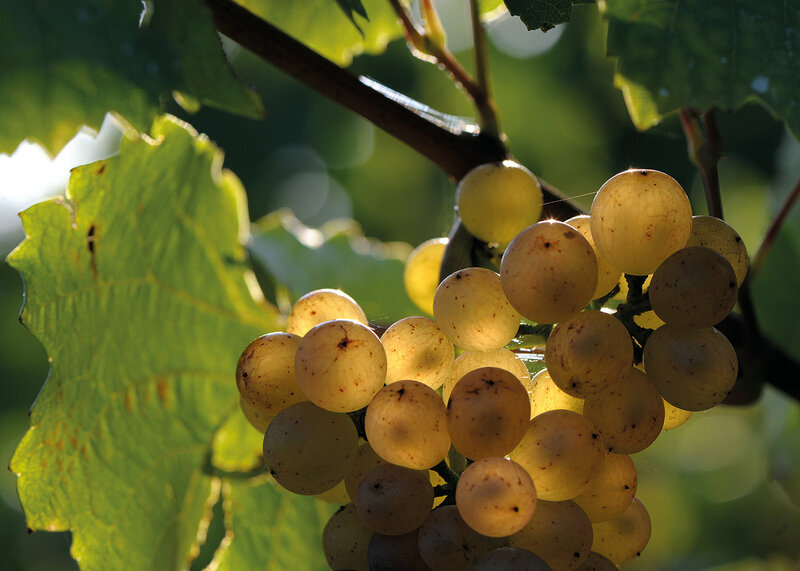 Round, aromatically complex and full-bodied wines are produced from the Rivaner, Auxerrois and Pinot gris varieties. Steel tanks are generally used to produce fresh, fruity wines. The maturing period depends on the type of wine. Traditional wooden barrels (tuns) or barrique barrels are occasionally used. These maturing methods confer more complexity and different aromas to the wines. Another variant is controlled spontaneous fermentation. The naturally available yeast flora causes fermentation which can give the wine more complexity and aromas. A distinctive feature of viticulture in Luxembourg consists of the specialities Vendange tardive, vin de paille and vin de glace. They have been authorised for production since 8 January 2001, provided that certain preconditions are met. Only good vintage years enter into consideration especially for ice wine, which is only produced in small quantities. Vendange tardive ( late vintage ): The basic principles for this wine are selected, physiologically ripe grapes, usually with some botrytis. This fungus destroys the grape’s skin and allows part of the available water content to evaporate, which leads to a natural concentration of the constituents. The grapes can sometimes also assume a raisin like appearance. These wines have a characteristic taste, with notes of honey, dried fruit or caramel. Vin de paille ( straw wine ): Healthy, ripe grapes must be dried on well aired straw mats for at least two months, which leads to a maximum concentration of sugar and the grape’s constituents. Vin de glace ( ice wine ): An ice wine vintage is only possible if the grapes are frozen in a natural way and the outdoor temperature drops to at least -7°C. The frozen grapes are pressed, so that only the sugar-containing extract is obtained. 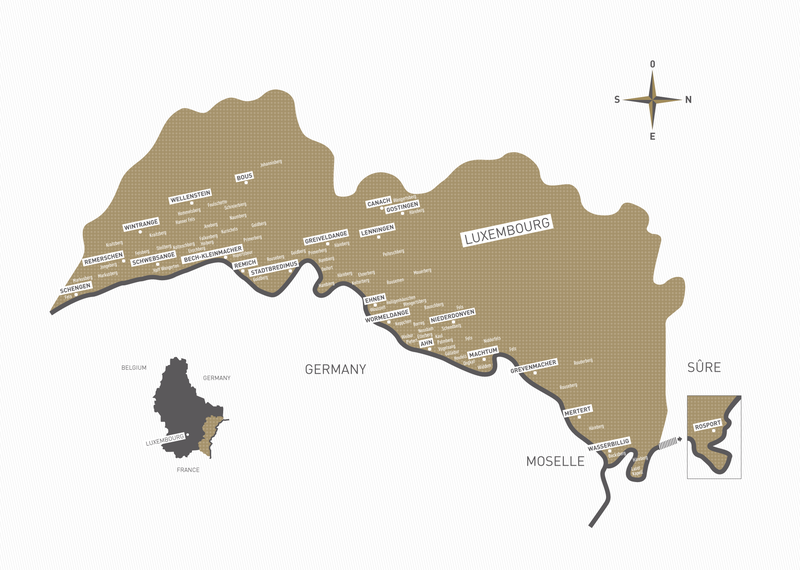 Two different rock formations characterise the wines of Luxembourg’s Moselle Valley. In the Canton of Remich, the vines grow mainly on keuper with marl clay. Keuper came into being 159 to 230 million years ago through the silting of a violent sea. The valley is rather wide open from Schengen to Greiveldingen. 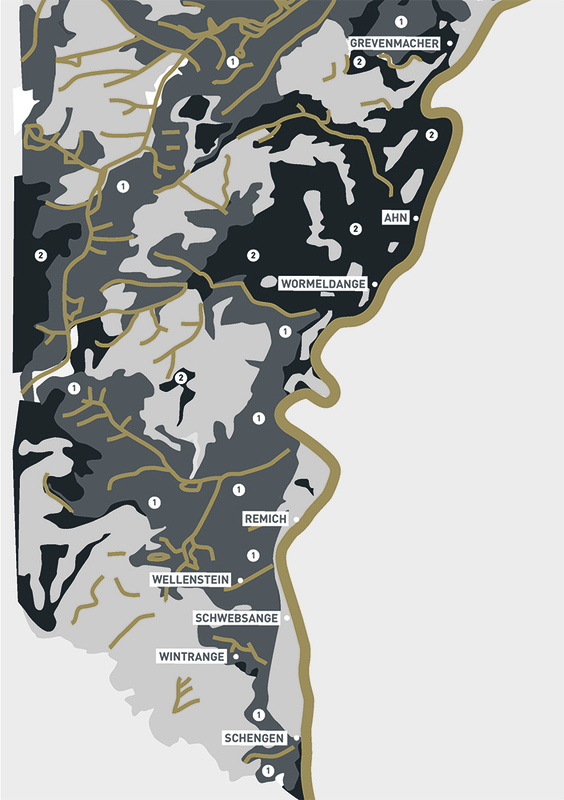 The rounded and gently slanting slopes produce wines that are as full-bodied and harmonious as the landscape. Fissured layers of shell limestone predominate in the Canton of Grevenmacher. Shell limestone developed 205 to 215 million years ago from marine deposits. The slow erosion between Greiveldingen and Grevenmacher brought into being a narrow valley with steep, precipitous, dolomitic slopes, where racy and elegant wines are perfectly at home.